Vaccines matter for each of us: yearly, they prevent 2.7 million people from contracting measles, one million from getting whooping cough and two million babies from getting tetanus. They eradicated smallpox. They stopped polio, a dreadful disease affecting millions of children, in almost all countries in the world. Despite these hard facts, many Europeans are hesitant when it comes to immunising themselves or their children. Between 2016 and 2017, data from the European Centre for Disease Prevention and Control (ECDC) show that the number of people affected by measles more than tripled in the European Union (EU). Of these, 86% were not vaccinated. Since the beginning of 2017, 50 people have died from this disease, although it can be easily prevented through vaccination. Some parents are actively choosing not to vaccinate their child. This has consequences both for the individuals and for public health. In some communities, vaccination coverage has dropped below 95%, the rate needed to shield the population. This poses serious risks to vulnerable groups, such as very small babies, people with an immune disorder or people who receive treatment against cancer. They cannot be vaccinated themselves, but are protected when people they come in contact with are vaccinated. 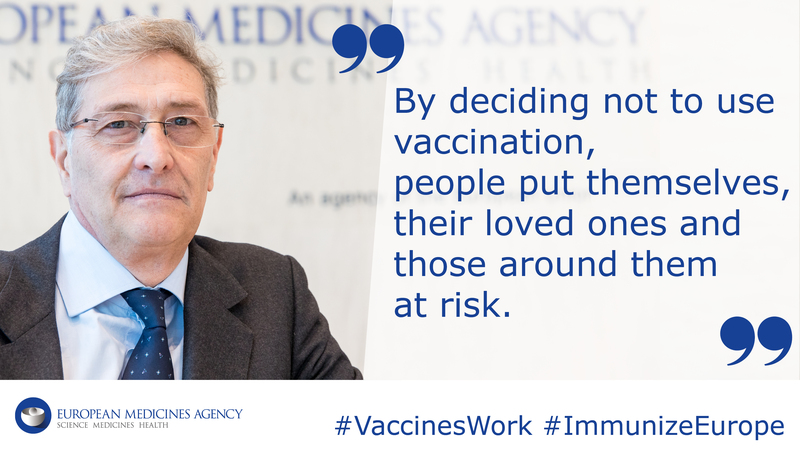 By deciding not to use vaccination, people put themselves, their children and those around them at risk. 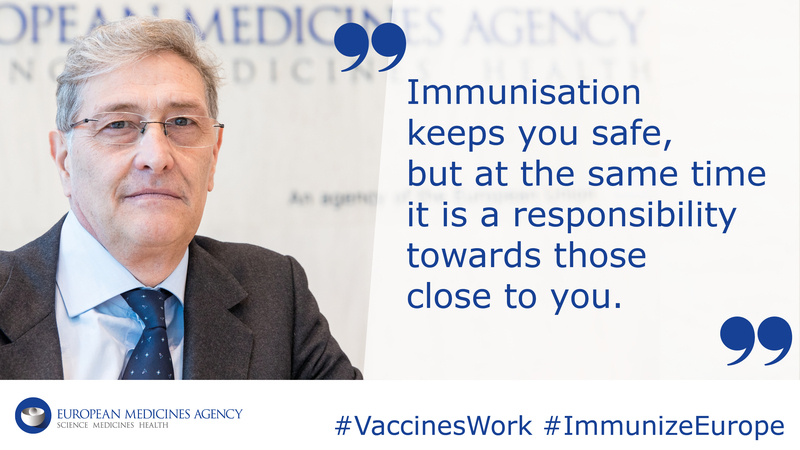 Our job at the European Medicines Agency (EMA) is to ensure that only vaccines that are safe and effective are used in the EU. EMA has strict rules for the authorisation of vaccines across Europe. Once they are in use, EMA continuously monitors their safety, so any adverse effects can be promptly detected, investigated and managed. Immunisation keeps you safe, but at the same time it is a responsibility towards those close to you. EMA therefore supports European Immunization Week.